This was the location of the palace fortress during the Silla Dynasty (57 BC ~ AD 935). The fortress takes after its name, which, literally translated, means ‘a crescent moon shape on top of a hill’. 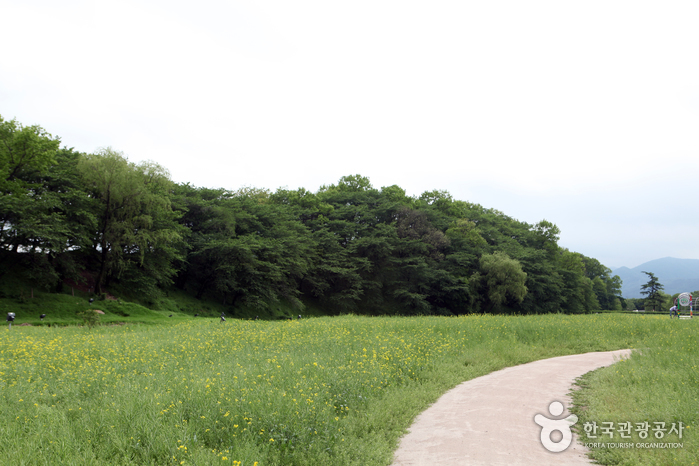 The famous history books of Samgukyusa mention that Silla’s 4th King Seoktalhae (AD 57~80) thought this area was an ideal spot for the fortress and bought the land from a nobleman. The 2nd King Namhae (AD 4~24) impressed by Seoktalhae’s actions, took him in as his son-in-law, later, becoming the 4th king. 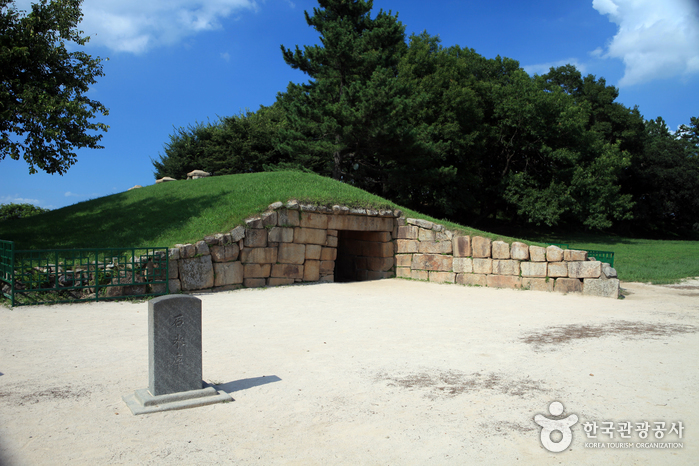 The area was then under Silla’s rule for 900 years, the last king being the 56th, Gyeongsoon (AD 927~935). Although the magnificent grandeur of the palace is now just an empty lot, it has been told that this area was filled with imperial buildings during the Silla Dynasty. Currently, the region of Wolseong has a freezer made out of rocks called Seokbinggo, an archery range, horse-riding field, and a traditional playground, which resembles the grounds of the Joseon Period (the dynasty that ruled the Korean peninsula from 1392-1910).